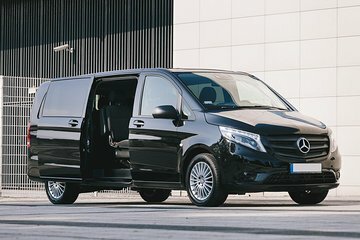 Enjoy a hassle-free arrival and departure in Munich with this private transfer service. Meet your driver at Munich Airport, and relax on the journey to your hotel in the city. When it’s time to leave, you’ll be taken back to the airport with convenient door-to-door service. These private vehicles can accommodate up to three or seven passengers, depending on option selected when booking. The driver who picked up us up at the airport dropped my backpack and broke my camera lens. The driver who picked us up to leave for the airport was late by 45 minutes.